What happens to an estate upon the death of a spouse? What happens when you pass way without a will? If you are married, it's important to understand what will happen to the marital property when you die, says attorney Simon Dippenaar. You may have an antenuptial contract in place and you may have opted for a particular marital regime for a good reason – but it's possible your reasoning didn't extend to the end of your life. What may serve you well when you are young and economically active may not produce the best outcome for you on the death of your spouse. Dippenaar looks at how the different marital regimes impact on the winding-up of the estate on death of a spouse. If you and your partner married without an antenuptial contract, you are automatically married in community of property. All your assets are jointly owned, even if they belonged to you individually before the marriage. This joint ownership also extends to liabilities. In the context of death this means the joint estate is dissolved. After all, there can't be a joint estate with only one owner. The joint estate must be wound up by an executor in terms of the Administration of Estates Act. The executor will pay any debts owed by the estate and collect any money owing to the estate. If there are any outstanding debts of either spouse that pre-date the marriage, these are not settled from the joint estate but from the net half of the debtor, regardless of whether debtor is the deceased or the surviving spouse. When all debts have been settled, the surviving spouse is entitled to half the net balance of the estate. It's important to note that this is not an inheritance, and no inheritance tax is payable. It belongs to the surviving spouse because of the matrimonial property system that defined the marriage - that is community of property. The other half of the estate goes to the deceased's heirs. By contrast, if you are married out of community of property you each have your own separate estate. This does not change on death, so when one spouse dies, only the deceased's estate is wound up. If the surviving spouse has a claim on the estate of the deceased, for instance an outstanding loan or other business arrangement, he or she must institute an action against the executor, like any other creditor. This includes a claim in terms of section 23 of the Matrimonial Property Act regarding household necessaries. Unlike a joint estate, antenuptial contracts continue to apply after the death of one spouse. Therefore, if the marriage is out of community of property with accrual, and the accrual of the surviving spouse's estate is less than that of the deceased spouse's estate, the surviving spouse must lodge a claim with the executor against the deceased spouse's estate for his or her share. Equally, if the accrual of the deceased spouse's estate is less than that of the surviving spouse's estate, the executor will lodge a claim against the surviving spouse on behalf of the deceased spouse's estate. 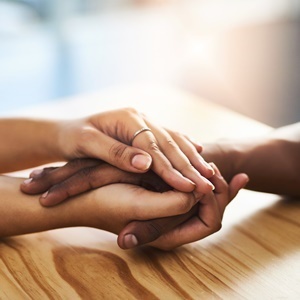 If the marriage is out of community of property, it is doubly important to have a will in place, to ensure the surviving spouse inherits in accordance with the wishes and intentions of the deceased, usually discussed and agreed jointly by the couple, says Dippenaar. In the absence of a will, the laws of intestacy apply. Dippenaar explains that, if one wishes to change your marital regime, you can do so by way of a postnuptial contract. You can also ensure your spouse is looked after financially in the event of your death via your will. "For anyone with loved ones to protect, a will is a good idea," he says.